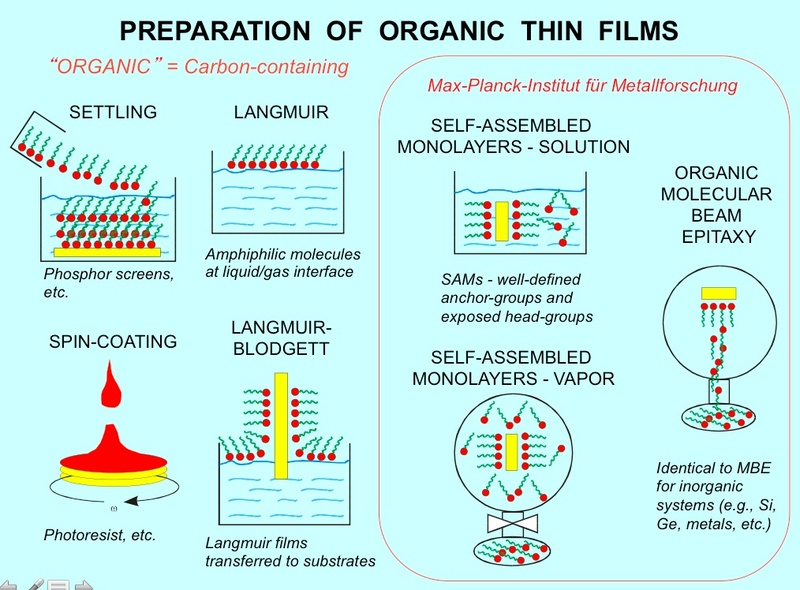 After spending many years working in the area of metal-on-metal crystal growth, at the Max-Planck-Institute I had a once-in-a-lifetime chance for me to investigate organic-on-metal crystal growth. This topic was the speciality and passion of my colleague, Frank Schreiber, who has since moved on to lead a very successful and large research group at the University of Tübingen, in southern Germany. 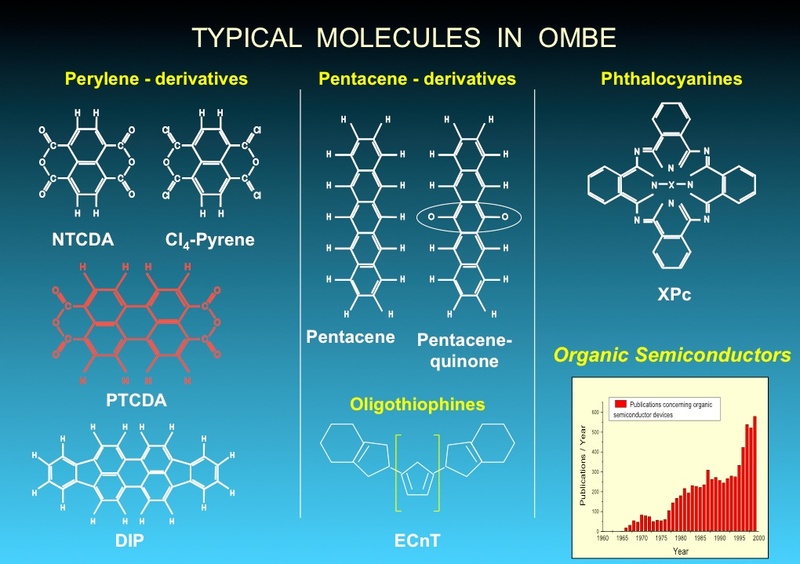 Here is a short overview of various organic molecules that are grown as crystals and studied. R-Cell. Okay, I built it, but someone else named it after me! 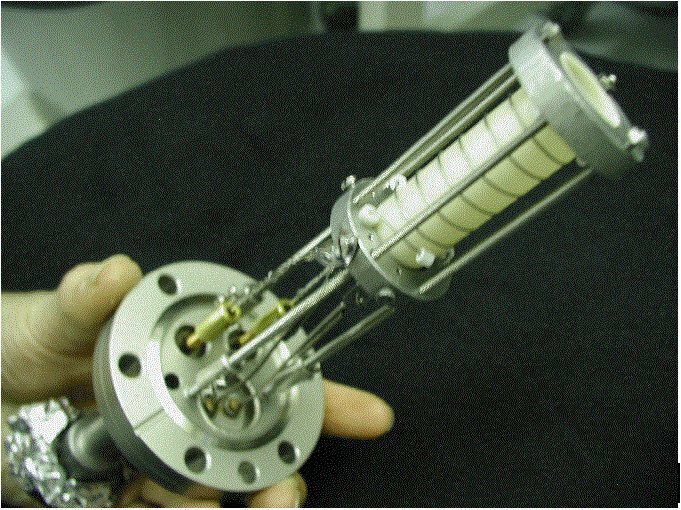 The bread-and-butter of crystal growth via molecular beam epitaxy (or MBE) involves a high-tech oven, specially designed for ultra-high-vacuum (or UHV) environments, known as a Knudsen cell, or more simply as a K-cell. K-cells can be used to melt or sublime metals, and with special cooling attachments such cells can even be used to evaporate materials such as gold. 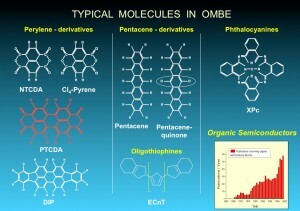 There are various ways to grow crystals of organic compounds. 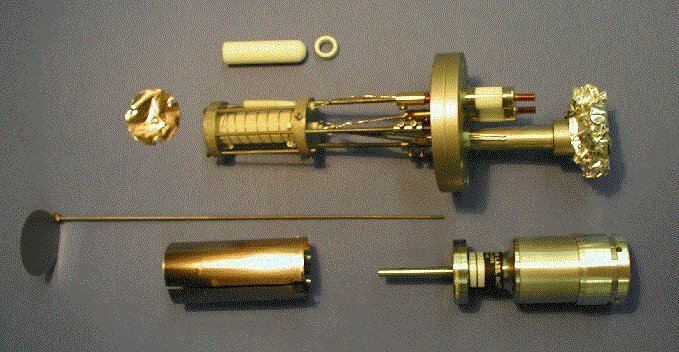 The method my colleagues and I used was molecular beam epitaxy, or MBE. In order to carry out experiments involving the crystal growth of organic materials, we needed something similar, but with a few small differences. First, the evaporation temperatures we used were much less than that for e.g. 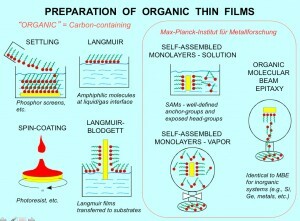 liquid metals, hence we needed a cell that had excellent thermal conduction properties. Second, we intended to grow crystals in a portal chamber, so we didn’t want our organic sources moving around – or worse, falling out of the oven. 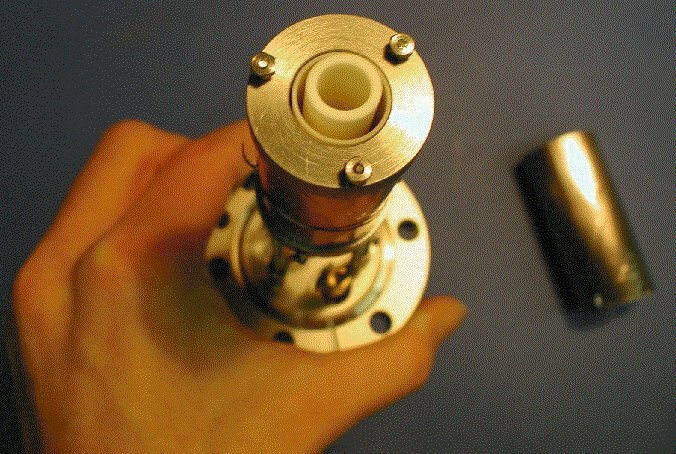 The solution was the so-called R-cell, shown below. Not shown is an interesting approach to keep the organic evaporant stable: glass fiber wool. Capping the alumina crucible with a small wad of glass fiber wool seemed to have two effects: it increased the surface area of the evaporant, and it ensured that during transportation, the organic material would remain in place.